We’ve written often about the plethora of benefits that come with having a solid call tracking software, including social media monetization, increasing your conversions and growing your business. However, did you know that call tracking can also earn you higher customer ratings and better business reviews overall? It’s actually quite simple and we’ll show you how. Perhaps the most commonsensical way to increase your amount of reviews is to simply give your customers more opportunities to provide feedback. Call tracking opens up more opportunities by helping you target both your repeat customers and your new customers for their valuable reviews. When a customer calls in, call tracking automatically routes his or her call to the appropriate agent based on your preferred settings. For instance, call tracking can tap into the customer purchase history to see where they are in the sales process based on their first and last name and phone number. If the customer has purchased with you before, call tracking can prompt your interactive voice response system to mention their previous interaction with your company and offer the opportunity to provide quick feedback. You can incentivize callers to leave reviews by offering a discount on their next purchase or a similar deal. If the caller did not previously make a purchase, he or she can be given the opportunity to leave feedback at the end of the call. During which time, call tracking will continue to deliver a seamless call experience while recording the progress of the sale. The entire customer journey can be closely monitored for data collecting purposes. A personalized marketing strategy involves singling out each customer with the intentions of making him or her feel special. Personalization works extremely well for businesses because of a few things: according to researchers at the University of Texas, a personalized outreach method gives consumers the illusion of control and reduces the potential for information overload. Let’s first discuss the control aspect, although the two are inherently connected. When brands use call tracking to personalize their calls, the IVR is enabled to address the caller by name. This small yet significant optimization sends the message that you care about your customers and their overall buying experience. It also gives them the perception of having more control over the situation, since the business they’re speaking to is responding exclusively to them. Making your customers feel “heard” is a valuable goal to achieve in marketing because it encourages more people to trust your business. As a result of trusting your business and having an excellent call experience, they will be more likely to leave positive feedback when prompted. In addition to the feeling of more control, personalization also helps customers feel as though their experience with your customer is exclusive. With the average consumer being exposed to thousands of advertisements each day, it’s no wonder why ad fatigue and information overload are so prevalent. Imagine being addressed by your name and serviced according to where you last left off in your sales process rather than having to start all over again with an IVR that speaks the same message every time to every caller. If you experienced the former, you will most likely have a much more positive experience as a customer. When customers are blasted with mass-sent messages and advertisements, they can be overwhelmed with the sheer amount of information and not take in anything at all. A personalized message is much easier to remember and digest because the individual is made to feel more important. 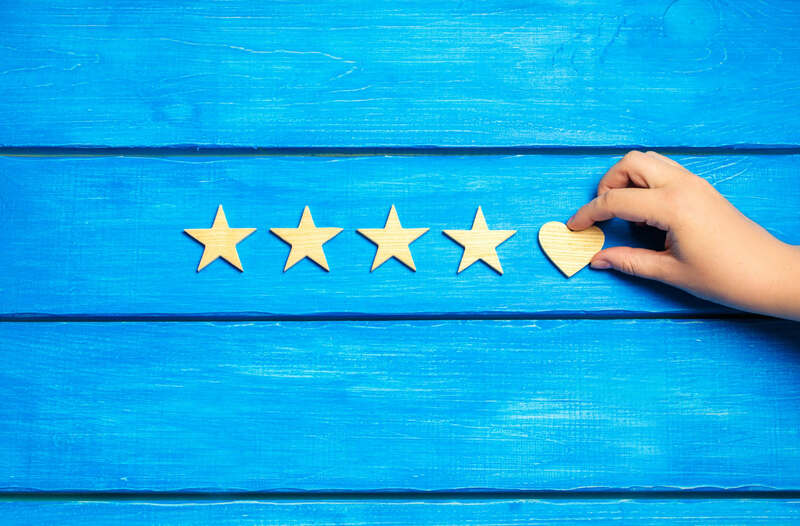 These are subtle, psychological nuances that affect the overall customer experience and ultimately, your business ratings. Call tracking is not a new idea, but recent technological advancements have allowed companies to become more creative with how they use call tracking to benefit their business. In this article, we’ve covered only one of the hundreds of benefits that come with investing in an advanced call tracking solution. To understand how you can use call tracking to boost your business ratings within your particular industry, schedule a free demo with us today. Our expert representatives will give a complete run-down of the platform and show how Phonexa works with your specific industry. There’s truly nothing to lose (except maybe for bad ratings)! Let us show you how to take these reviews to the next level.